« PREDATION: WHO DECIDES THE PRIORITIES? Chapter 2 Predation: How do we decide the priorities for action? There is no doubt that predation in its various forms takes a heavy toll of wild Atlantic salmon and sea trout at all stages of their life cycles. In Chapter One I raised the concept of ‘balancing’ different aspects of human interaction with these two species of fish, other wild life species, and the habitats that support them. I mentioned the importance of resolving the conflict that often occurs between the biological & environmental, social, economic and cultural aspects of that interaction. I also highlighted the obsessive demands of species-specific conservationists, who protect their target species, as opposed to managing them in an ecosystem context. Assessing the damage Resolving issues of predation of salmon and sea trout requires a ‘big picture’ risk assessment. If we objectively assess threats to their survival throughout the lives of both species in all their habitats, we can make a list based on the level of damage done to stocks. That list should be as comprehensive as possible, as we try to record every conceivable threat. Human exploitation has to be included if the list is to provide the basis for a solution, including direct and indirect human activities. Having done that, we should apply an ‘efficacy matrix’ to each of the threats, starting with the most serious, then using the matrix as a filter to assess each threat in order to reach a point where priorities for action start to emerge. An overview of salmon migrations We already know about some obstructions to fish passage where, for example, energy infrastructure projects in river catchments and coastal waters severely restrict migrations. 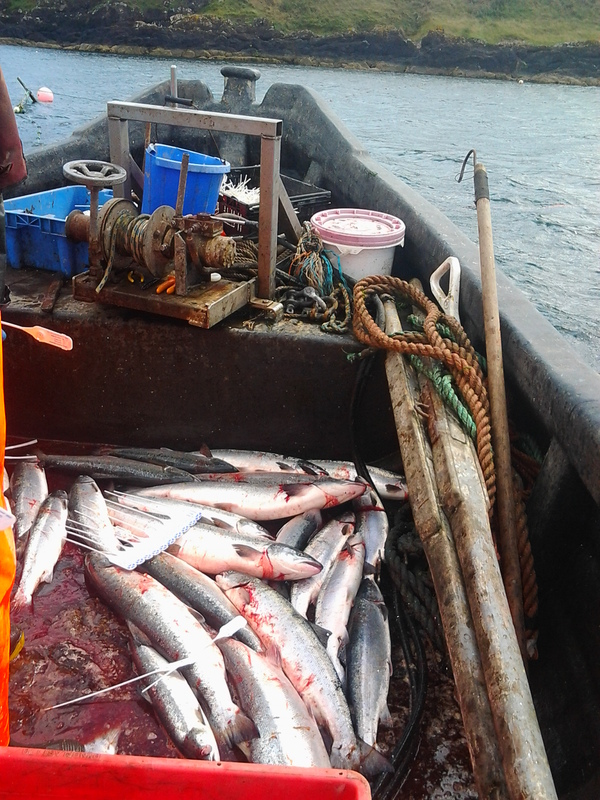 We are also starting to understand the wider damage to the abundance of both species caused by impacts from salmon farming in both fresh and salt water. Those of us who live near a river, estuary or foreshore also observe in-river and coastal ‘natural’ predation, but I think it is fair to say that we are often unsure of where in our list these fit. For me the purpose of ‘the efficacy matrix’ is to assess each threat in terms of the likelihood of success in resolving it. We have to take into consideration such factors as the legal context, the likely cost of any remedial measure, the length of time involved, and possible political support, or opposition. In the background we have the reassuring force of logic provided by the four ‘pillars’ of a healthy, managed rural sector, comprising the environment & wildlife, the economy, social wellbeing, and the cultural context. It is amazing how those four foundations of a balanced rural sector are neglected or put aside for political expedience. How do we know whether a particular type of predation is a significant threat to salmon stocks? 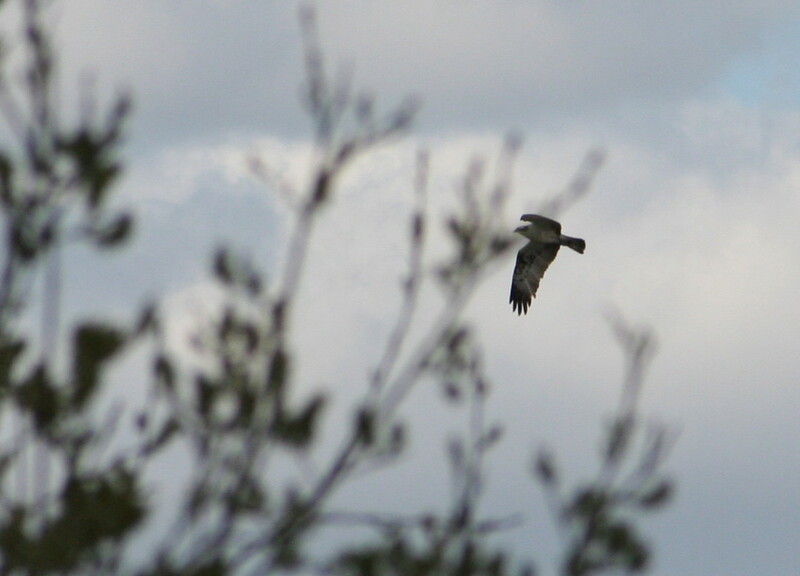 Some forms of predation should be high up on our list of threats. Most ghillies and others who work in the freshwater environment observe rogue seals or flocks of mergansers killing both juvenile and adult salmon. Understandably they demand action to stop that happening on the basis of what they have seen. 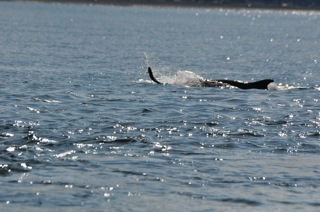 Culling both species is restricted because seals and mergansers are protected species. Using my ‘efficacy matrix’ I therefore find myself placing seal and merganser culls lower down the list of priorities for action on the grounds that it will be extraordinarily difficult to change the law to allow meaningful culls of either species. In the absence of a lethal solution we must therefore start looking for other ways of dealing with the problem, if the data show that impacts on salmon stocks are significant. 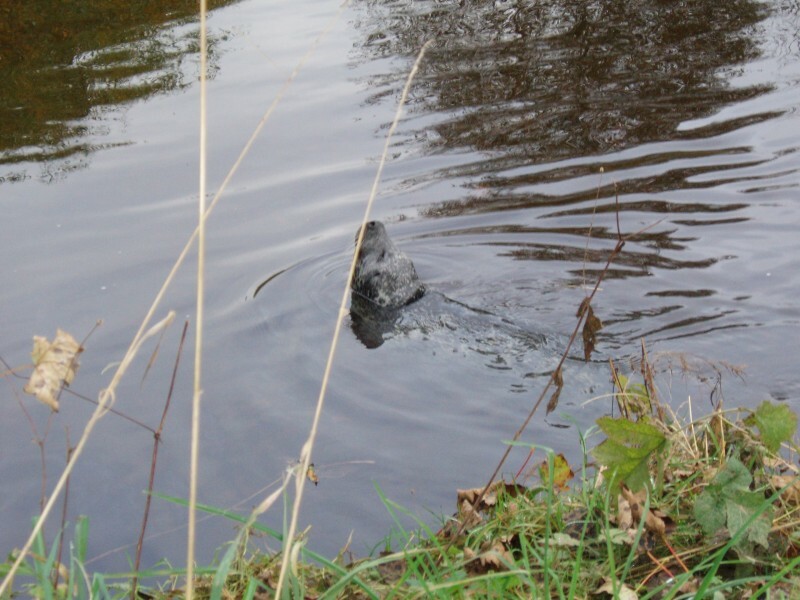 The use of seal scarers and smolt shepherding have, for example, been successfully tested by Martin Stansfeld’s team on the North Esk, and could be usefully extended to other rivers. There is however little or no evidence to show that such protection has a direct effect on numbers of returning adults. We badly need such data. Periods of danger during the salmon’s life at sea In the whole life of the wild Atlantic salmon there are probably three periods when the fish is most vulnerable – parr dispersal in the catchment, smolt migration from fresh to salt water and coastal threats to returning adults. In general it is true to say that the smaller the salmon, the more vulnerable it is. On the other hand we could argue that the nearer a maturing adult reaches the more precious a resource it becomes, which is why mixed stocks coastal netting is so damaging. Salmon parr: a meal for all The first of these three danger periods is in the freshwater stage, when the fry becomes a parr and disperses within the river catchment. Forms of predation on salmon parr are numerous and difficult to manage because they include widely spread resident trout and pisciverous birds (including mergansers and herons). Fortunately the salmon parr’s defence lies in its territorial nature, which keeps them reasonably well spread out. The freshwater stage of the salmon’s life cycle is density dependent, which makes it likely that other groups or generations will fill any niches left vacant as a result of predation. It is generally true that Scottish rivers are doing reasonably well as far as recruitment of parr is concerned, but of course there are exceptions. Availability of food is an issue for young salmon in the Norwegian Sea, where prey species have been in short supply in the last decade. Post smolts, carried by ocean currents or storms to areas of sea where food is in short supply, are often under weight and vulnerable to predation or starvation. In better times those fish would have returned after one sea winter as healthy grilse. The few that do return now are often emaciated ‘thin grilse’ with poor reproductive capability, although there are signs that this may be starting to change. 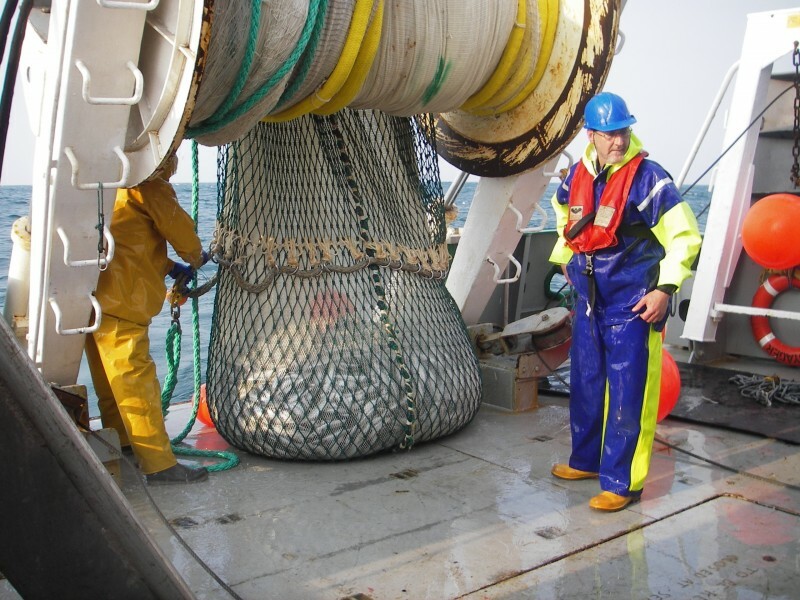 As post smolts move out from the coast into their main migration routes, influenced by variable ocean currents and surface conditions, they sometimes get blown off course, or accidentally caught up in the huge purse-seine nets of pelagic trawlers. We know that both these things happen, but we don’t know how much damage is done relative to other threats to migrations. Research has already started looking at the by-catch issue by posing the questions, “Where does salmon post smolt by-catch occur?” and “what is the extent of accidental by-catch at specific times of year in those areas?” By observing on-deck procedures, and analysing the catches on pelagic vessels from identified areas of sea we should be able to get a handhold on the seriousness of the by-catch threat. Dangers in Home Waters By the time our multi-sea-winter salmon return to our shores their migrations will have covered about 8000 kilometres. As they arrive in our coastal waters they run a gauntlet of obstructions and dangers from natural predators and human exploitation. Typically weighing 8lbs to 12lbs these MSW salmon are an enticing prey target for whales, dolphins, porpoises and seals. Compared with other pelagic species the wild Atlantic salmon is a rare fish in the open sea. It is only when salmon prepare to return to their home river that they start to coalesce into denser shoals for their journey along the coast. 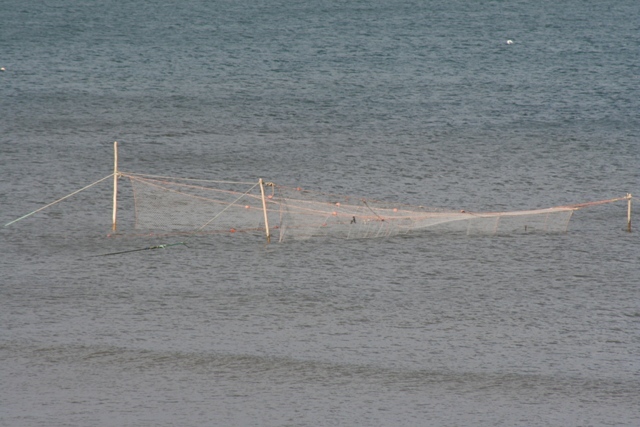 At this stage of its migration the adult salmon survivor is vulnerable to all forms of predation, especially coastal netting. In a dry summer, when river flows are at a minimum and salmon are forced to wait in estuaries, research has shown that more than 50% can die from a range of causes, including predation by human, pinniped and cetacean species. This entry was posted on Friday, November 6th, 2015 at 9:33 AM	and is filed under Fishing Report, Salmon. You can follow any responses to this entry through the RSS 2.0 feed. Both comments and pings are currently closed.